You can hear the words echoing about the melodic hard rock universe. Rock Wolves is the new German power trio. 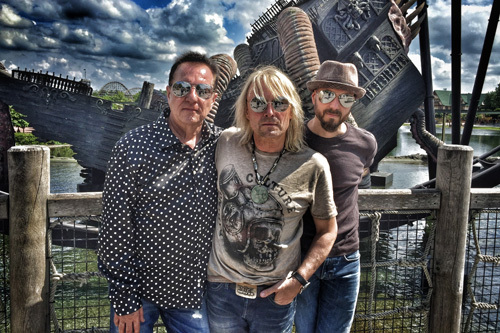 The band features three musicians with some 40 years of experience: drummer Hermann Rarebell (Michael Schenker, Ex-Scorpions), vocalist and guitarist Michael Voss (Mad Max, Michael Schenker), and bass player Stephan Hinz aka Gudze (H-Blockx). They arrive with their self-titled debut on SPV/Steamhammer Records. Make no mistake, this is a melodic hard rock album in the best classic sense, yet also touched with a metal edge and neatly tucked into an AOR wrapper. The songs are loaded with melody, harmony, and groove, with catchy refrains and bright guitar solos. Of course, Mr Voss is an exceptional rock vocalist, singing clean with natural melody and harmony to his voice. As for the songs, for some AOR melodic hard rock groove look to Riding Shotgun, The Blame Game, and the energetic Rock For The Nations. Some metal edge comes with the quickness of Out Of Time and the shuffle of Surrounded By Fools. Alternatively, Rock Wolves can tone things down for a ballad with the positive inspiration of Nothing's Gonna Bring Me Down. Then there's something like I Need Your Love, a churning groove monster that may find you thinking of the Seventies and listening to a Free or Bad Company song. The band also does a cover Heart's What About Love, originally written by Jim Vallance. It's okay. But Heart and Ann Wilson don't have to worry about any competition. The Rock Wolves version doesn't quite have the soaring drama of the Heart version. 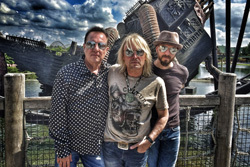 Nevertheless, for their first album, Rock Wolves has dropped a solid and enjoyable platter of melodic hard rock. You will not be disappointed. Hopefully this will not be a one-off event, and we will hear more in the future. Easily recommended. 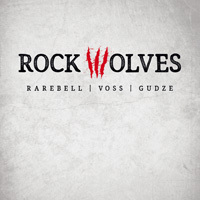 For their first album, Rock Wolves has dropped a solid and enjoyable platter of melodic hard rock. You will not be disappointed. Easily recommended.